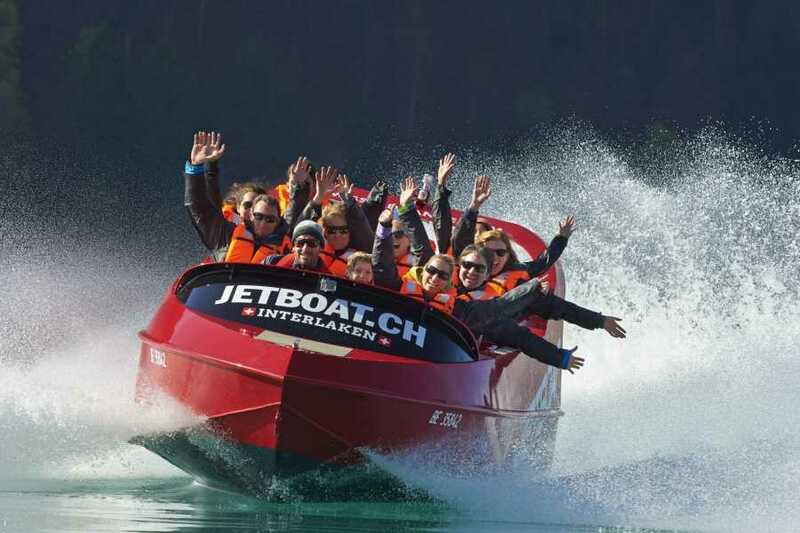 Take a seat in Switzerlands first commercial Jetboat! We offer a great mix of Fun, an turquoise blue lake, breathtaking landscapes and impressive waterfalls! After checking in, our captain will seat you in the boat and give a brief introduction. After leaving port, we will jet towards Iseltwald- a well-known and picturesque fishing village. Along the way, we will provide you with interesting insights of our region, its rich history and breathtaking landscape. We will head towards Giessbach Falls, a series of spectacular waterfalls placed under preservation in 1984. After a short stop, we will jet back to Bönigen, heading towards the impressive Niesen summit. How to find us: Shuttleservice from Interlaken, public carpark at the port in Bönigen, or the public bus from Interlaken Ost trainstation. Get great discounts on our "Early Bird" trip at 10am!! 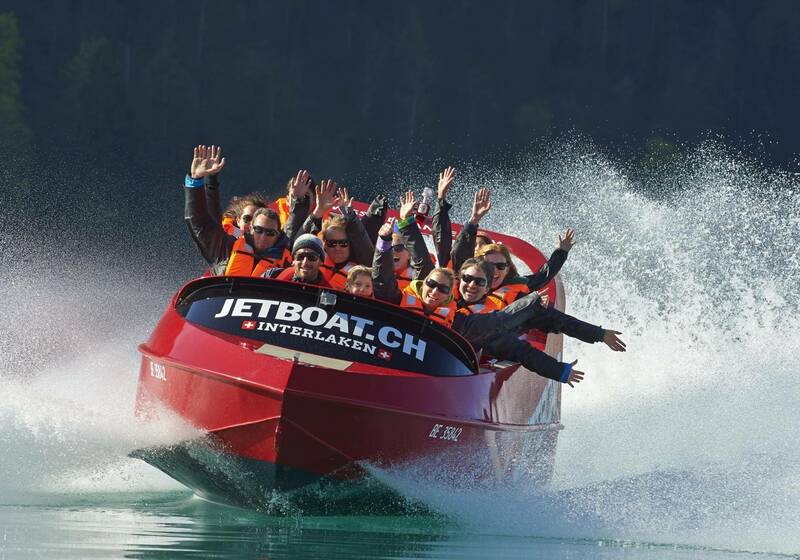 Unforgetable experience on the Lake of Brienz! Take sunscreen and sunglasses with you!